Golin 0.5 mg Tablet is used in treatment of high levels of prolactin. It is also used to stop breast milk production (lactation) in case of stillbirth, abortion or miscarriage. Take this medicine in the dose and duration as advised by your doctor. Swallow it as a whole. Do not chew, crush or break it. Golin 0.5 mg Tablet is to be taken with food. Golin 0.5 mg Tablet works by decreasing the release of prolactin, a hormone that stimulates breast milk production. This stops the production of breast milk in case of stillbirth, abortion or miscarriage. It is unsafe to consume alcohol with Golin 0.5 mg Tablet. Taking cabergoline together with alcohol may increase side effects such as dizziness, drowsiness, confusion, and difficulty concentrating. Golin 0.5 mg Tablet is probably safe to use during pregnancy. Golin 0.5 mg Tablet is probably unsafe to use during lactation. Limited human data suggest that the drug could represent a significant risk to the baby. Golin 0.5 mg Tablet is usually not used during breastfeeding because it suppresses lactation. Golin 0.5 mg Tablet may make you feel dizzy, sleepy, tired, or decrease alertness. If this happens, do not drive. Golin 0.5 mg Tablet is probably safe to use in patients with kidney disease. Limited data available suggests that dose adjustment of Golin 0.5 mg Tablet may not be needed in these patients. Please consult your doctor. Golin 0.5 mg Tablet should be used with caution in patients with liver disease. Dose adjustment of Golin 0.5 mg Tablet may be needed. Please consult your doctor. What if you miss a dose of Golin Tablet? If you miss a dose of Golin 0.5 mg Tablet, skip it and continue with your normal schedule. Do not double the dose. 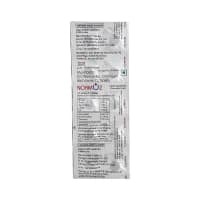 Golin 0.5 mg Tablet is used to treat conditions such as infertility or abnormal production of breast milk (galactorrhoea) caused due to excess production of a natural hormone called prolactin. Do not take Golin 0.5 mg Tablet if you are breastfeeding. 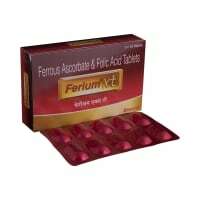 Take it with or after food to avoid side effects such as nausea or indigestion. Be cautious while driving or doing anything that requires concentration as Golin 0.5 mg Tablet can cause dizziness and sleepiness. Regular monitoring of blood pressure may be advised during treatment with Golin 0.5 mg Tablet. Its always helpful if you can provide generic name of a drug, instead of BRAND NAME. Anyway, lonna 0.5 seems to be Clonazepam. It is abenzodiazepine group of drug and is used as an axiolytic. 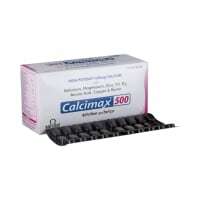 prescribed for anxiety disorders. Are the levels of vitamin b12 low? Dear PATIENT you for sharing your reports with me. The vitamin B12 levels are on the lower side. You should have a diet rich in dairy products since they are rich sources of vitamin B12. You can also start tablet Mecobal once a day for at least 2 months. Do you have any questions related to Golin 0.5 mg Tablet? Q. What is Golin and what is it used for? Golin contains Cabergoline, which belongs to a group of medicines that reduces the level of prolactin. 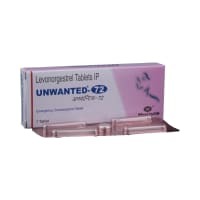 It is used to treat medical problems such as galactorrhoea due to abnormally high level of prolactin. It is also used to stops breast milk production (lactation) in case of stillbirth, abortion or miscarriage. Q. How and in what dose should I take Golin? Take this medicine, as per the advice of your doctor. The advised dose and duration depend on your medical condition. 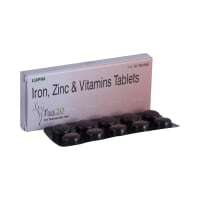 It is recommended to take this medicine with food or after food, to reduce the chances of nausea or vomiting. Q. What are the possible side effects of using Golin? During the first few days of treatment, this medicine may decrease your blood pressure which could make you feel dizzy. So, it is recommended that you change your position slowly when trying to sit, stand or lie down during the initial days of the treatment. Your doctor may suggest you to monitor your blood pressure regularly during these days. The other common side effects are drowsiness, nausea, headache, dizziness, vertigo, stomach pain, indigestion, fatigue, and weakness. If any of these side effects bother you, consult your doctor. Parker KL, Schimmer BP. Introduction To Endocrinology: The Hypothalamic-Pituitary Axis. In: Brunton LL, Chabner BA, Knollmann BC, editors. Goodman & Gilman’s: The Pharmacological Basis of Therapeutics. 12th ed. New York, New York: McGraw-Hill Medical; 2011. pp. 1114-15. Briggs GG, Freeman RK, editors. A Reference Guide to Fetal and Neonatal Risk: Drugs in Pregnancy and Lactation. 10th ed. Philadelphia, PA: Wolters Kluwer Health; 2015. pp. 176-709.